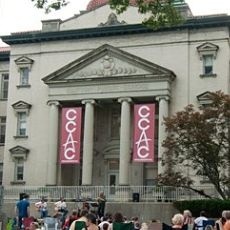 Clifton Cultural Arts Center (CCAC) is a truly regional Cultural Arts Center encompassing ' and preserving ' over 53,000 square feet of historically significant space in an urban campus. CCAC has welcomed over 75,000 visitors for an exhibit, concert, theater performance, civic function, or class since opening its doors in 2008. CCAC's mission is to strengthen the critical link between participation in the cultural arts and successful, healthy children, adults and communities. You can find more information including special events, class offerings, and gallery openings at www.cliftonculturalarts.org.